The media’s latest anti-Trump “bombshell” … … … … oh, sorry, I nodded off for a moment there — was dropped Thursday night, so let me be the first to welcome you to this weekend’s round of breathless “the walls are closing in on Drumpf” coverage because, you know, they really got him this time. 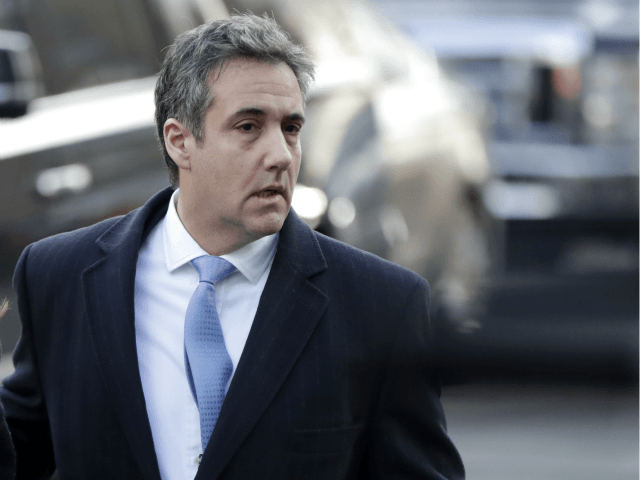 The far-left BuzzFeed claims to have two unnamed deep state law enforcement sources telling them there is proof — emails, texts, and other documents — President Trump instructed his then-personal attorney Michael Cohen to perjure himself about something-something Russia building something-something deal. Hey, way to hire, Ben Smith! In 2006, Leopold shook the world with the news that Karl Rove — get this — “told President Bush and Chief of Staff Joshua Bolten, as well as a few other high level administration officials” he would be indicted for leaking Valerie Plame’s name to the media. Of course, Rove was never indicted, nor was he responsible for the leak. Fast forward to March 2005, when Leopold’s memoir, Off the Record, was set to be released. In the book, according to Howard Kurtz, Leopold says that he details his own “lying, cheating and backstabbing,” and comes clean about how he got fired from the Los Angeles Times and quit Dow Jones just before they fired him because, as he said, it “Seems I got all of the facts wrong” on a story about Enron. Lost in all the hype over this story is the fact that the source of the allegation against Trump can only be Michael Cohen, who has already pled guilty and will be going to prison for, among other things, lying. Why Would Trump Ask Cohen to Lie When Don Jr. Told the Truth? Why would Trump accept all the legal and political risks of instructing his attorney to lie when his son told the truth? In fact, the best way to get caught in a lie is to offer up competing stories. The second reporter on the BuzzFeed story (the one who is not Stephen Glass 2.0) told the far-left CNN Friday that neither he nor Leopold have “personally” seen any evidence to back up their “bombshell” that is really for real closing the walls in on Trump this time. UPDATE: Stop the presses! That Leopold guy is calling his reporting partner a liar. He told MSNBC he has seen documents. Nothing juices my confidence in reporting like reporters who cannot keep their story straight. So BuzzFeed’s two deep state law enforcement sources allege there is evidence proving Trump suborned perjury — texts, emails, documents, transcripts with other witnesses within the Trump organization — but BuzzFeed’s sources didn’t bother to back up this wild claim by showing these reporters any of this? Trump is famous for refusing to use texts and emails. So how can the smoking guns be texts and emails? A guy who has spent his life avoiding putting anything down in writing would break that rule to obstruct justice, to commit a felony? Other than texts and emails from Trump himself, whose texts or emails would corroborate such a thing? From my count, this is the gabillionth time a left-wing news outlet went ahead and ran an unverified anti-Trump bombshell based on deep state sources… And let’s not forget that all the ones that came before were either eventually exposed as fake news or Notherburgers sold as something else. How about if you wake me when you have a smoking gun that is not clenched in the fist of a bitter deep stater who refuses to show that smoking gun to a “serial fabulist” working for a partisan racket like BuzzFeed? In the meantime, ZZZZzzzzzz *snort* zzzzzzz…. Then again, the story could be true.